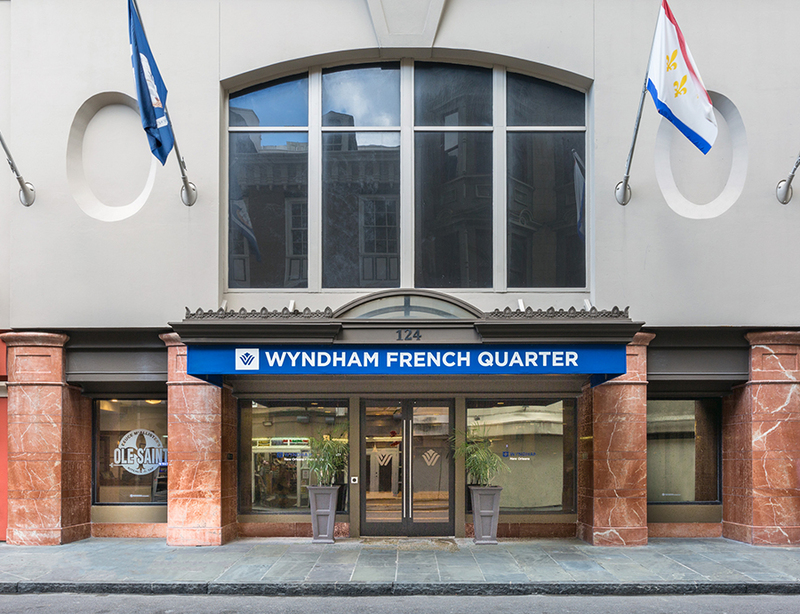 The Wyndham Hotel in the French Quarter lies along romantic Royal Street just off Canal only feet from the Mississippi River. 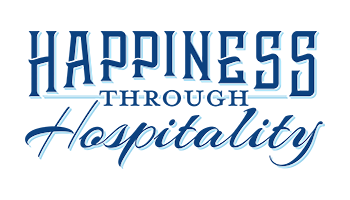 This downtown hotel offers guests a chance to stay in a modern setting with the charm of nostalgia overlooking the rooftops of old New Orleans. 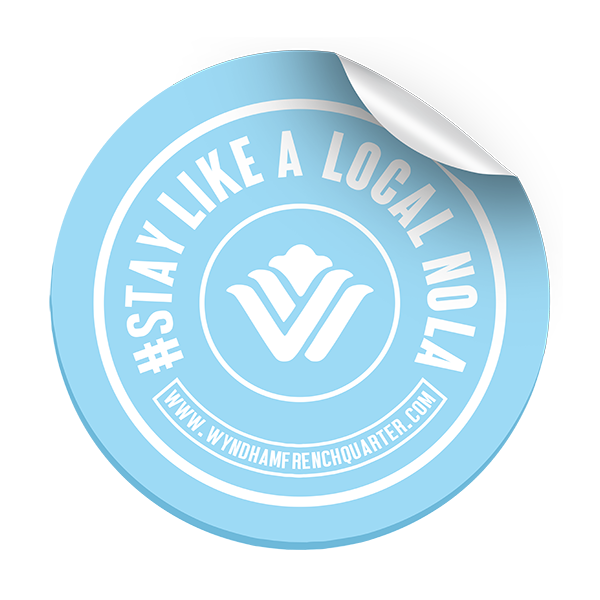 Promoting the hashtag campaign "Stay Like a Local NOLA" for the Wyndham French Quarter, Midnight Boheme designed a series of print advertisements and web graphics to spotlight the hotel's ideal location on Royal Street on the cusp of the French Quarter and adjacent to the Central Business District, a prime location for visitors who want to experience both worlds and for convention attendees who want to be close to the Convention Center but still in the historic district. 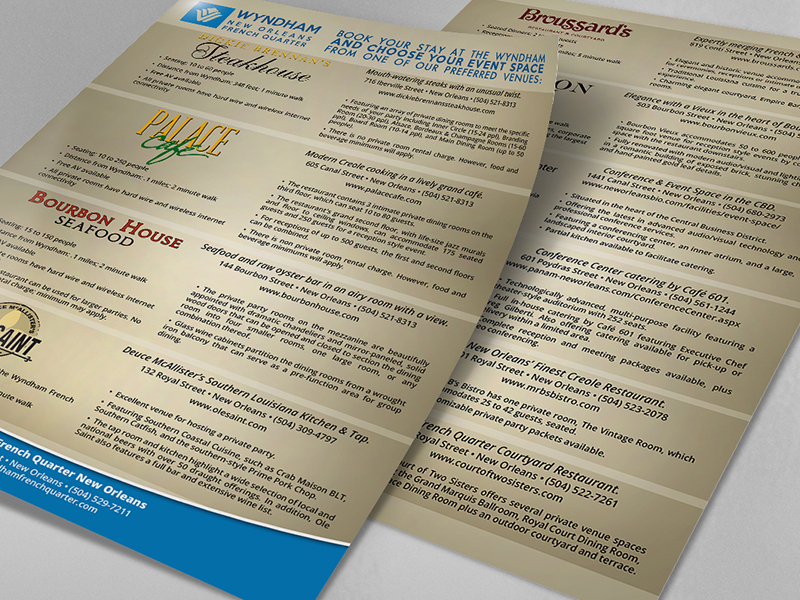 After creating several ads to be printed in publications such as City Business, Christmas New Orleans Style, and the Convention & Visitors Bureau Guide, Midnight Boheme was thrilled to see one of the ads in print inside the 2016 edition of New Orleans' Official Visitors Guide. 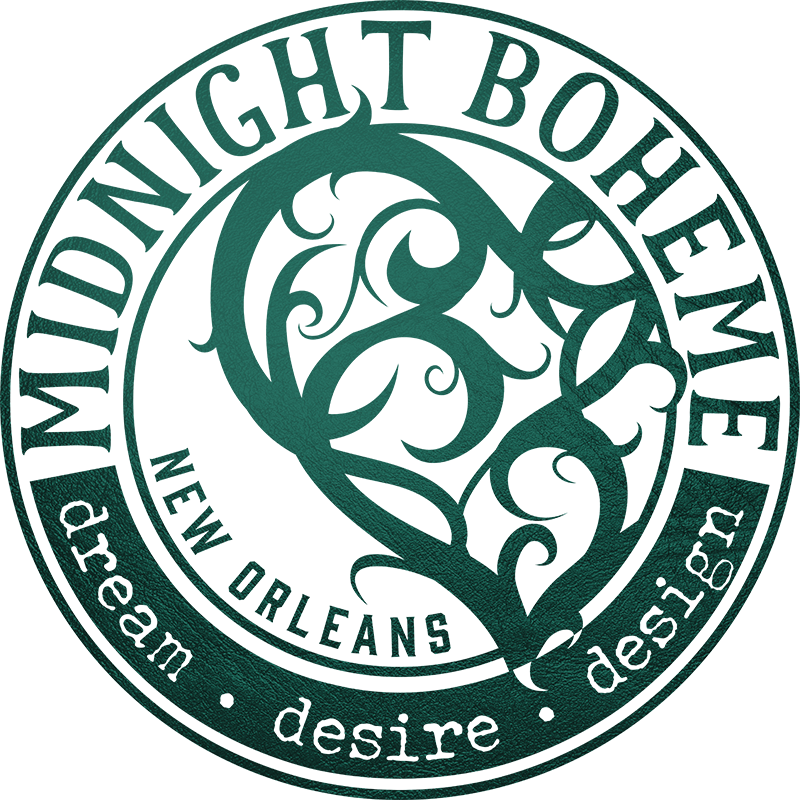 Working alongside the Director Marketing for the Wyndham, Midnight Boheme designed several leave-behind cards to inform or greet guests of the hotel, including a special card that welcomed visitors featuring an original Midnight Boheme-written poem entitled "Bon Temps!" 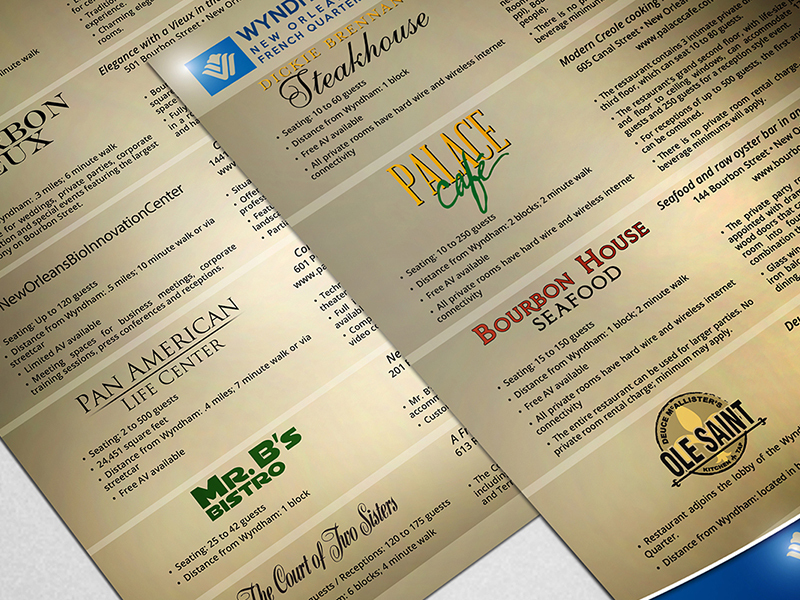 As the crew of Delta Airlines gains VIP access to the Wyndham French Quarter, to honor this arrangement, Midnight Boheme and the hotel produced a customized hotel keycard along with a special trifold brochure to help crew members feel at home during the stay with some local insider tidbits about restaurants and amenities nearby. As we wish you "Bon Temps!" which means have a good time! 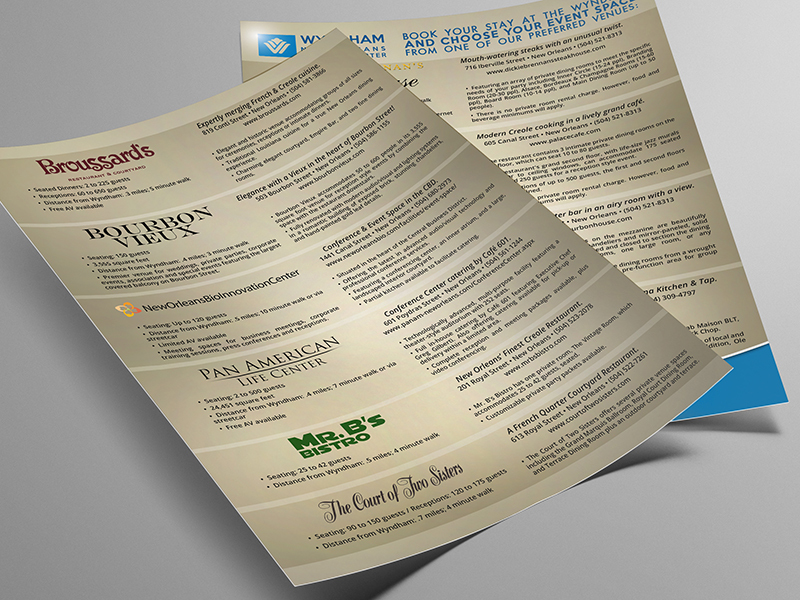 For several seasons, Midnight Boheme created special event brochures to greet guests and inform visitors of the activities happening during the holiday or festival. 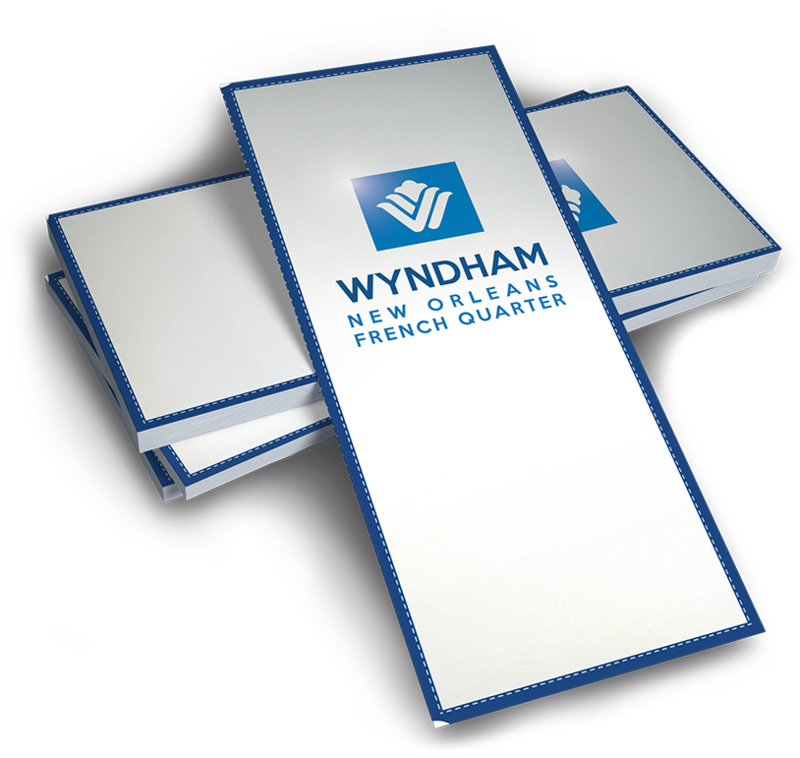 Midnight Boheme produced a spotlight promotional video for the Wyndham French Quarter to be played at conventions and on the in-house channel at the hotel. Press play to view the music video!